Description: Civilian Public Service unit no. 79, Utah State Hospital; "The Admin. Bldg. taken from the entrance to the state property." Description: Civilian Public Service unit no. 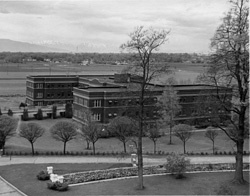 79, Utah State Hospital; "One of the main buildings made up only of men's wards"
Description: Civilian Public Service unit no. 79, Utah State Hospital; "The Admin. Bldg. with the Christmas decorations; in the foreground you see some of our snow." Description: Civilian Public Service unit no. 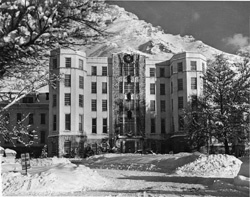 79, Utah State Hospital; "One of the main bldgs." Description: Civilian Public Service unit no. 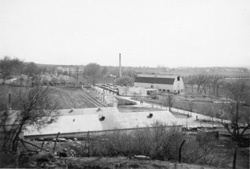 79, Utah State Hospital; "View of hospital grounds; agricultural bldgs in foreground; admin. bldg in background." Description: Civilian Public Service unit no. 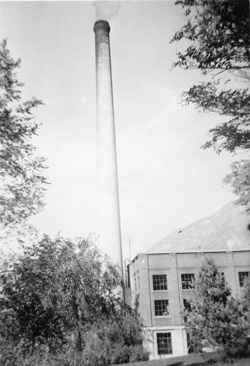 79, Utah State Hospital; "The hospital heating plant; one of the C. O. 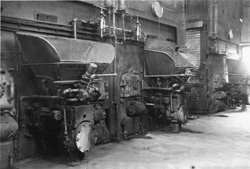 's was working there during the winter months"
Description: Civilian Public Service unit no. 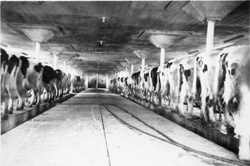 79, Utah State Hospital; "The hospital dairy cows in barn; a C. O. is in charge of one milking daily"
Description: Civilian Public Service unit no. 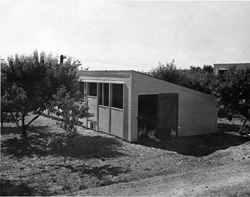 79, Utah State Hospital; "The completed hen house built by C. O.'s." Description: Civilian Public Service unit no. 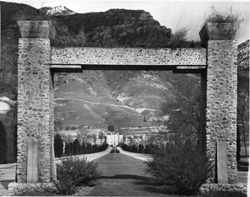 79, Utah State Hospital; "C. O. 's constructing a hen house for the hospital." Description: Civilian Public Service unit no. 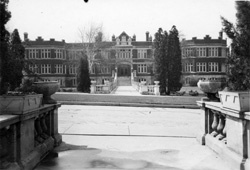 79, Utah State Hospital; "C. O. 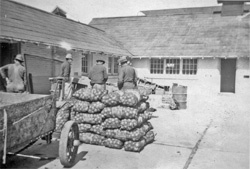 's working with patients grading and sacking onions for marking"
Description: Civilian Public Service unit No. 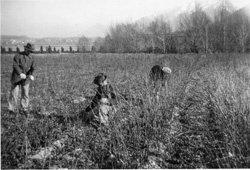 79, Utah State Hospital; "C. P. S. boys pruning raspberries"
Description: Civilian Public Service unit no. 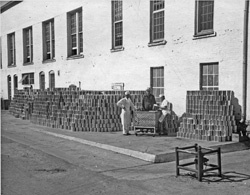 79, Utah State Hospital; "Some of the fruit that the hospital canned in 1943"
Description: Civilian Public Service unit no. 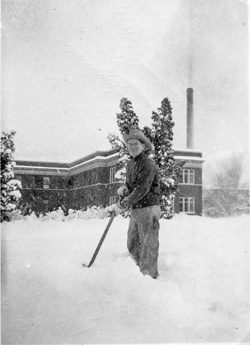 79, Utah State Hospital; "Scooping snow at the hospital"
Description: Civilian Public Service unit no. 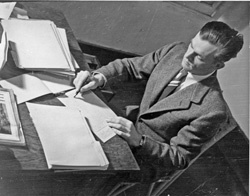 79, Utah State Hospital; "Unit leader, Arthur Jost, at work in the office"
Description: Civilian Public Service unit no. 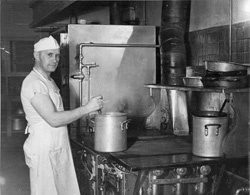 79, Utah State Hospital; "Harold Oswald, a C. O. who has cooked for the hospital since the unit is here"